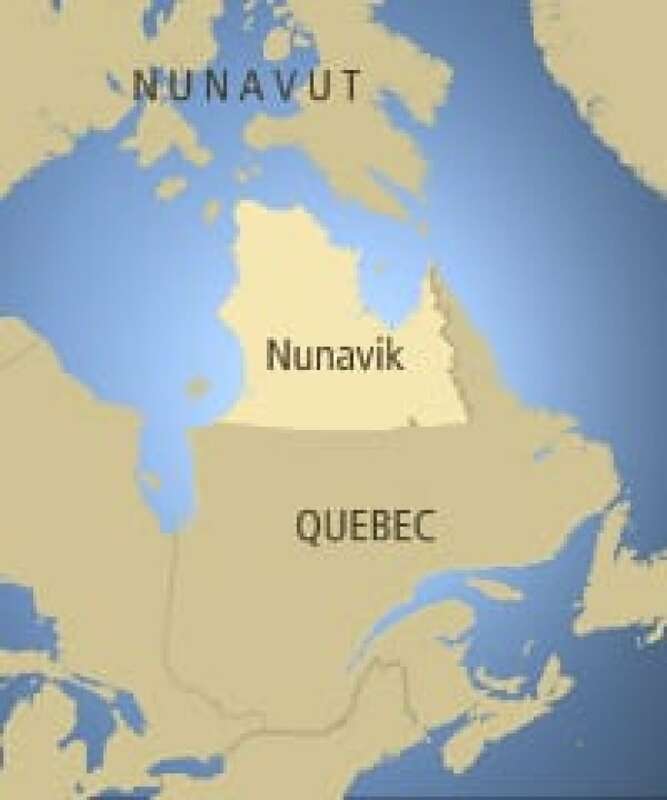 Inuit in the Nunavik region of northern Quebec voted this week to reject a self-government plan that was proposed for the region. About 70 per cent of citizens who cast ballots in a referendum Wednesday voted against adopting a final agreement on the creation of a Nunavik regional government. The final agreement was drafted by the federal and Quebec governments along with Makivik Corp., which represents Nunavik Inuit as set out by the James Bay and Northern Quebec agreement. But of 4,242 valid ballots cast in Wednesday's referendum, 2,842 said No to the proposed agreement while 1,400 said Yes, according to Elections Quebec. "It's back to the drawing board," Makivik Corp. president Pita Aatami told CBC News on Thursday. The three parties agreed in December 2007 to work towards establishing new self-government powers in Nunavik, with the goal of empowering Inuit in the region to govern themselves. The agreement they developed proposed merging three existing public agencies in Nunavik, namely the regional municipal administration, school board, and health and social services board. But critics said the government system being proposed would have jeopardized Inuit rights rather than strengthened them. Any agreement on a governance system for Nunavik must ensure Inuit rights are dominant in its constitution, they argued. Despite the outcome of the referendum, Aatami said the desire remains for self-government in Nunavik, a predominantly Inuit region in northern Quebec. Aatami said he just hopes negotiations with the federal and Quebec governments can continue. "I'd like to sit down with the two governments right away, but are they open to sitting down with us right away after … the votes that were cast?" Aatami said. "But we won't give up," he added. "We're going to keep going and try and get some more control over the region." Aatami said he was pleased with voter turnout rate — 54.5 per cent — in Wednesday's referendum. Facebook might have been a factor in the high turnout, since many Nunavik Inuit logged on to the popular social media website to debate the self-government agreement, according to those who called into a CBC Radio phone-in program on Thursday. Many callers said they believed the agreement proposed a merger between existing organizations in Nunavik, but they did not think the proposed government would adequately protect Inuit language and culture. Qalingu Tukalak, a caller from Povirnituq, Que., said Facebook helped mobilize the No vote, as people shared concerns that consultations on the issue were rushed. "If it was not for Facebook, the majority of the people would have voted in favour [of the agreement], as we would've only heard from people working on the agreement," Tukalak said in Inuktitut. Jennifer Watkins of Kuujjuaq, Que., said she learned that Facebook can a powerful tool, noting that one group that was dedicated to the referendum had more than 900 members. Speaking in Inuktitut, Watkins said the referendum outcome is a "wakeup call" to Makivik and the two governments to make improvements to the proposed agreement.